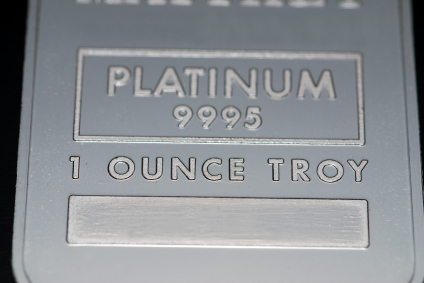 Though it had been used in alloyed forms dating back to the Greek and Roman empires, and was mentioned in European literature as early as the 16th century, until the 19th century, platinum was neither an industrial metal, nor a strategic metal, nor a precious metal used for high-end jewelry. In fact, Spanish Conquistadors thought the metal was a nuisance because it interfered with their gold mining operations. But in the early 1800s, platinum was found in the gold fields of the Ural Mountains in Russia. The Russian government decided to take that rare element and turn it into a monetary metal by producing platinum roubles. Over the next 18 years, the Russians minted nearly half a million ounces of platinum roubles and transformed the metal from a mere commodity into a precious metal, that was, and is like gold, a store of value, and since then the rest of the world has followed suit in accepting it as a highly valued precious metal. Platinum is a rare, metallic element of the group of elements called the “platinum metals”, and plays a significant role in the production of catalytic converters and spark plugs in automobiles as well as a popular material for the production of jewelry and other ornamental applications. Platinum is also used in computer devices, laboratory equipment, glass production, and feul cell development. Platinum is rare – roughly 20 times more rare than gold, while industrial use continues to compete and consume this material. Platinum demand exceeds supply – and as Platinum reserves decline, the value of the spot price of Platinum will continue to gain. Platinum hedges against inflation – in countries with significantly devalued currencies, the price of platinum remains relatively constant. Platinum is a liquid investment – Platinum can be easily stored, transported, and is accepted as a major form of value that can be converted into cash virtually anywhere.